Carmel: I only just recently got caught-up on Briggs’ MERCY THOMPSON series, thus I’m not as familiar with the mythology surrounding the Cornick family as Jessica some readers, so when Ariana showed up in SILVER BORNE I didn’t realize that her and Samuel had a history that spanned hundreds of years. I really enjoyed this short because it helped to fill-in a lot of the blanks in their past, and was a great overview of Bran’s lineage; it helped me to better understand her deep-seated fear of wolves, and her connection to silver which are two elements that went completely over my head when I originally read SILVER BORNE. This anthology also starts, and ends with Samuel & Ariana which I thought was fitting. Jessica: HA. Yeah, I’m definitely familiar with the more obscure details, but being aware that Ariana and Samuel knew each other from WAY before didn’t do much for me on the Samuel front. Samuel has never been my favorite branch of the Bran tree. No, that spot has always been reserved for Bran, himself. Samuel . . . is a touch (*snorts*) melancholy for my tastes. I understand that he’s had a long life, and endured more than I, with my incomparably short life, can imagine. BUT knowing that (superficially) does nothing to negate how tiresome his constant depression/suicide watch/high maintenance-ness, etc. can be. HOWEVER, this story does. SILVER is NOT a happy story, but it is an interesting one, and it does give valuable background on this most mournful of werewolves. Carmel: This was actually one of the shorts that I enjoyed the least in this anthology, so the fact that it’s listed as a ‘readers favourite’ in the blurb has me questioning my Patricia Briggs fan-girl status. The author is from Butte, Montana, so I understand why she wanted to write a story that featured her hometown, but other than the Fae bits I didn’t really understand why it earned a spot in this compilation. I found the flashbacks confusing, and other than Stefan, I personally don’t particularly care of this author’s vampires. Also, I felt that the 19th century Chinese racism angle was unnecessary, and didn’t add anything to this tale other than confusion. Jessica: This story is about a vampire named Thomas and a Fae named Maggie. It has not one thing to do with Mercy (and friends) as far as I can tell, which I wasn’t expecting. Still . . . an accurate representation of Fae, so I actually liked this one. I always appreciate stories where tricksy Fae plans are thwarted by an underdog, and while I’m not overly fond of this world’s version of the vampire either, Thomas was a vamp I could get behind. These two both deserve their bit of happiness. Carmel: A cute short that was inspired by the colour gray, and Valentine’s Day; leave it to Briggs to put a dark spin on flowers, and chocolate. The author manages to squeeze in vampire politics, love, and a decent amount of action in only 34 pages. I found that the tale was well-rounded given its length, and even though the tone is for the most part sad, the ending was immensely satisfying. Normally I’m not a big fan of ghost stories, but this author is a pro at fleshing out characters, and creating tension. I rather enjoyed Peter Vanderstaat, the full-time cop, part-time contractor, and his quick acceptance of Elyna’s vampirism was one of my favourite parts of GRAY. Jessica: Another creepy vampire story, and again, wholly unrelated to the stories that we know and love. I mostly liked it, except . . . nothing good can ever come from loving a ghost. Sorry. *shrugs* I don’t care how pretty the story is, being unable to touch the one you love can NEVER end well, and it’s painful to even contemplate. BUT I also enjoyed Peter the cop/contractor, and Elyna might be my favorite vampire from this world. 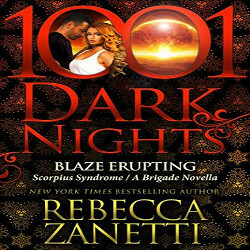 Carmel: This one featured two characters from HUNTING GROUND, which I also have yet to read, but I enjoyed learning more about this author’s witches as they rarely make an appearance in her MERCY THOMPSON series (excluding Elizaveta, the pack witch). There was a lot of wolf-y goodness, and sexual tension; as a whole it felt pretty complete for a short story. I like that the magical rules remained consistent in this anthology, and mirrored what I’ve come to expect from this author. After two werewolf-less tales in a row, I was happy to get back to Briggs’ furry canines. I look forward to seeing Moira and Tom again when I finally get around to tackling the ALPHA & OMEGA books. Jessica: I have read the ALPHA & OMEGA books, and while I don’t know if I can say that I prefer the characters (overall) in this series to those in the Mercy books, the plot lines have been consistently stronger IMO, so I’d actually read this before, and I still really liked it on the second pass. I liked Tom and Moira when I first met them, and I liked learning how they met even more. Moira is one badass white witch. 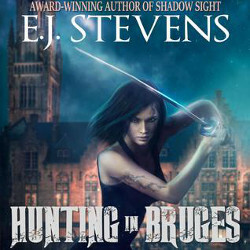 And yes, I appreciate Briggs’ sticking to her rules for supernatural creatures as well. Carmel: In my opinion, this was the best short in this collection, mainly because I have yet to explore the world of ALPHA & OMEGA, so it made Briggs’ werewolves feel almost new again. Latham’s first three years as a shifter were beyond horrible, but her unfortunate back story helped to give Bran’s youngest son the appearance of being a knight in shining armor when he shows up in Chicago. The Marrok has always been a favourite of mine, so I was pleased when he made an appearance in this story. The ending was as satisfying as it was violent, and I liked the twist because it wasn’t at all what I was expecting. Again, I really need to read the ALPHA & OMEGA series now. Jessica: First of all, I think it’s important for you to know that if you try to start the ALPHA & OMEGA series without reading this prequel first, you’re going to be confused. I know this for FACT. The good news is that reading this is no hardship, but fair warning, while none of it takes place on page, it’s obvious that Anna has been sexually assaulted, and regularly, in the three years she’s been a werewolf. So if you’re bothered by that kind of thing . . . now you know. Beyond that . . . simply put, this is the story of how Charles and Anna met. I liked it a lot. Carmel: This was the second holiday-themed tale in this anthology, and it had a pretty big impact for being so brief. 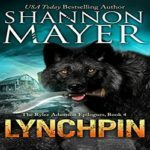 It was a touching story that revolved around family and forgiveness; the author managed to pack in a surprising amount of paranormal elements in only 34 pages with werewolves, vampires, and wizards all making appearances. I don’t recall the latter ever showing up in her MERCY THOMPSON novels, so that was a definite bonus. I also liked how THE STAR OF DAVID tied in to MOON CALLED by revisiting one of the original characters that made his debut alongside Adam. The conclusion was absolutely perfect, and a brilliant embodiment of the Christmas spirit. Jessica: Hmmm . . . I don’t have much to say about this one. It was a Christmas story, and it was as heart-wrenching as the short intro lead you to believe it would be. It’s about family, forgiveness, second chances . . . all that Lifetime Holiday Special goodness, and yeah, it hit me straight in the FEELS, but, generally speaking, I don’t like stories that are holiday-focused very much . . . they feel so . . . contrived? Guess that makes me a Grinch. Sorry . . . that’s just one of my things. 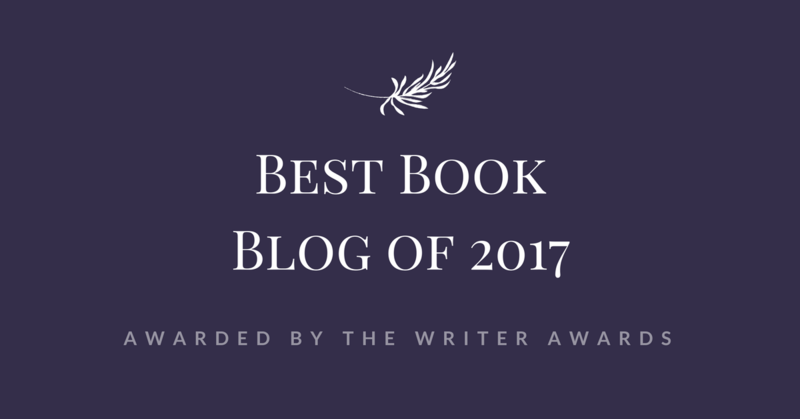 Carmel: If I were to rank all of these stories from best to worst, ROSES IN WINTER would be a close second behind ALPHA AND OMEGA. I’ve always had a soft spot for the Marrok and the Moor, and both of these characters play significant roles in this short which was a real treat for this werewolf fanatic. Kara, the ten year old (now thirteen) from BLOOD BOUND, is at the forefront of this tale, and I’ve always wondered what happened to her, so I really enjoyed reading the continuation of her journey. To my delight, there was a great deal of pack politics in this tale, and I loved how Asil and Devon, two of the oldest wolves, both came up to bat for the youngin’. The ending with the rose and the guitar brought tears to my eyes, because it was just so beautifully executed. Jessica: I love Asil. In fact, the reason that I might like the characters from the ALPHA & OMEGA series more than the characters from MERCY THOMPSON can pretty much be attributed to Bran and Asil. NOT Charles and Anna—I love their storylines, but their relationship is still in that awkward, painful stage . . . BLAH. But there’s LOTS of Bran and Asil. This story is doubly awesome, b/c not only is it mostly from Asil’s POV, but you remember the little girl who’d been attacked and turned into a werewolf when she was like 10? The one whose father was a reporter, and came sniffing around Mercy for info in BLOOD BOUND? This is her story too. It’s just . . . fantastic. My FAVORITE by a long shot. Carmel: No paranormal anthology would be complete without zombies in my opinion, and IN RED, WITH PEARLS was a fun short about stupid neighbours and improbable crushes told from Warren’s POV—everyone’s favourite gay werewolf! Briggs’ witches made another appearance in this one, and it even explained why Nadia, Elizaveta’s niece, mysteriously takes a trip to ‘France’ in the MERCY THOMPSON series which I thought was a nice little bonus. The twist was rather wonderful because I didn’t see it coming AT ALL, and something pretty major happens between Warren and Kyle that made me love them even more. I totally want a full length book about these two now because 44 pages just wasn’t enough! Jessica: Man . . . I really wanted to like this one (b/c WARREN), but it was really predictable, and the 99% of People/Creatures You Meet in the World are BAD theme that’s going on in these stories is starting to wear a bit thin. At first I thought it was all the creatures except the werewolves, but then I realized, NOPE. The werewolves are mostly bad too, or at least morally ambiguous. Anyway, this was a story about Warren detecting after someone sends a zombie (<——also not my favorite) to kill Kyle. Carmel: REDEMPTION was the funniest story in SHIFTING SHADOWS because Ben and Adam make a no swearing bet which lead to some rather creative vocabulary from the pack’s underdog. That paired with all of the geeky references brought on by Shaw’s job as a DBA (Database Administrator) kept me smiling from ear-to-ear. Ben’s known for his issues with women, so he was as shocked as I was when he finds himself sticking up for Melinda, his department’s secretary. Adam and Mercy also made a cameo appearance in this short (FINALLY!! ); I only wish that Briggs would have included the full motivational speech that Ben’s asked to give by his boss because I probably would have LOL’ed. Jessica: This is a Ben POV, and it started out REALLY rough (and I love Ben). BUT, per usual, there was more going on than we could see, b/c Ben is a rather complex character, and while the glimpse into his past was illuminating, it was also highly disappointing. I wanted to believe that there was no truth in the rumors surrounding his past in England. Somehow, despite the darkness in the this story, Briggs manages to end on both a positive and light/humorous note. Carmel: By this point, Briggs had me seriously doubting whether Mercy was even going to get her own tale—talk about saving the best for last! This short felt like it could have almost been a full length installment because it followed the traditional investigative format that’s prevalent throughout the MERCY THOMPSON books. Our favourite coyote is hired to shed some light on a haunting, finds herself in yet another life-or-death situation, and Adam of course is pissed. I liked that Zack, the pack’s newest werewolf, was along for the ride, and the conclusion tied in nicely to this series’ main story arc. We also learn a bit more about Mercy’s Walker abilities which was an unexpected plus. Carmel: This is the Samuel / Ariana scene that I mentioned in my above review of SILVER. It was short and sweet, but I thought it did a good job of rounding out this couple’s story in this anthology, and it also gave them a bit of a HEA which was nice. Carmel: I can’t really say much about this outtake because it’s one big spoiler for those of you who haven’t read NIGHT BROKEN yet. Adam and Coyote have a bit of a tête-à-tête, but if you’re still reeling from this series’ most recent cliff hanger, you might want to check it out. Was this review helpful? 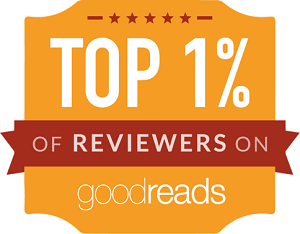 If so, please consider liking it on GoodReads (Carmel) or voting for it on Amazon (Carmel)! Like Jessica, I never much cared for Samuel. I admire him for his integrity and whatnot, but there’s no genuine affection to speak of. His brother and his father are a different matter entirely. I also agree that the A&O books are consistently stronger plot-wise although I can’t say I love the characters more. This was a fabulous collection. I really enjoyed it. Alright, you and Jessica twisted my arm, I’ll start the Alpha & Omega series ASAP! Like both of you, I loved Roses in Winter. I think I might have even liked it better than Alpha and Omega, but that could be the newest of it. I think I read/listened that A&O like four times, while I still love it and would still consider it one of my favorite short stories of all time. I also liked Redemption much more that I thought I would. Ben was not my favorite character, though he did provide some great comic relief, I couldn’t stand him as a person. That changed after this story. I thought I would like In Red, with Pearls better than I did. I love Warren and Kyle. It isn’t a bad story, just not as good as I expected from two characters that I love so much. Overall, I LOVED the deeper look into these characters and the history that this book provided. I’m not a fan of stand alone short stories, but when they give you insight into characters from existing stories like this, I love them and can’t get enough of them. I think it is my fascination with secondary characters. Great review. Alpha and Omega does sound like an enjoyable story. That short convinced me to read the entire series, so that pretty much says it all! Okay you two are having entirely way too much fun and I love it! I think I need to get this collection of stories, it has been way too long since I have immersed myself in her world and I so need to get caught up on this series! I hope you both have a fabulous weekend!! kindlemom1 recently posted…Happy Labor Day Weekend! We are review twins 🙂 LOL…Actually, twins with Melanie. If it wasn’t for her I probably would have put Hot Listens on hold until I got my health’s issues taken care of. Thank you ladies! Great job! I so love this series. SO LOVE IT!! And this particular anthology has a bunch of new stories in it that I can’t wait to read. As well as some old faves… THIS is when I really appreciate short stories, when it’s part of a series I love. There’s four new shorts, so you’re in luck! Plus, like you said, it’s always fun to revisit old favourites, and this anthology is the perfect excuse to do that. I just finished this anthology and LOVED it! So glad you ladies did too. Our favorites were the same – I’d read Alpha and Omega before, but it was just as good the second time around. I so love getting the beginning of Charles and Anna’s story even if Anna’s past is brutal. And Asil and Kara! *dies* Their story was painful in such a beautiful way. Plus, Bran. Who doesn’t love Bran. MORE BRAN! What she said. LOL MORE BRAN! YOU MUST read ALPHA AND OMEGA before starting the series very important! I’m starting this one after I finish up my current read. Can’t wait. Well, I did—no worries there. However, I wouldn’t have if it hadn’t been for this anthology, so that worked out well. Happy reading! Like I told Jessica, I felt as though I was the ‘pro’ commentator, and she was the ‘colour’ one. Hehe I think it worked out really well, and I’m pleased that you agree. I don’t know how I missed this one. The ARCS must have come out when I was on my blog hiatus this summer. I am two books, now three behind on this series and I had intentions of catching up on it this summer, but alas. Anyway, I am pleased to see that most of the stories were quality reads and that this book was worth it. So many times these little short story anthology books feature one or two good stories and the rest are just okay. I must add this to the pile. I hear ya—where DID the summer go!? 🙁 This is one of the better anthologies out there, because you’re right, so many of them are filled with meh stories while as this one was mostly 4 star+ reads. I read Alpha & Omega before I read the first Mercy book and it made me all kinds of confused because then Mercy seems out of order lol I have the MT series on my shelf though and I want to get back to it. I think I’m going to binge read (& not review so it’s fun!) one weekend. I can see see how that could happen. Some of the characters make small appearances in the Mercy Thompson books, but for the most part it’s a completely separate series. Enjoy your MT binge read! Candace recently posted…Blog Tour: FERAL by Holly Schindler Q&A and Giveaway! See, I’m the reverse, I’ve read all of her Mercy Thompson books, but none of the Alpha & Omega ones. At least out of the two, the latter has less installments, so I’m a bit ahead of you where Briggs is concerned. I don’t think I’d recommend this anthology to Mercy Thompson newcomers, but it was definitely a nice extra for longtime fans. And, I’m with you on novellas which is why I like short story compilations because you get the best of both worlds. Oh it’s a fun review with you 2 girls! I confess that I’m so curious about the book. I love the series and everyone is in love with this one so now I want it as well. Plus the cover? AWESOME! Well, I’m glad it was that good but now I want to try it too. Love this joint review, ladies! I’ve been “collecting” the Mercy Thompson series along the way, and I can hardly wait to start book one! I love a great anthology so this will definitely go on the wish list. Have a wonderful weekend! The Mercy Thompson books sat on my shelf of the longest time, so I’m super happy to finally be caught up, and to have been able to fully enjoy this anthology. Next up: Alpha & Omega! What an awesome joint review! I have this on my list to read. While I don’t usually read short stories or novellas outside the regular books in a series, the publisher sent this one unexpectedly and hey, I’m not gonna say no to more Mercy Thompson. Thank you! 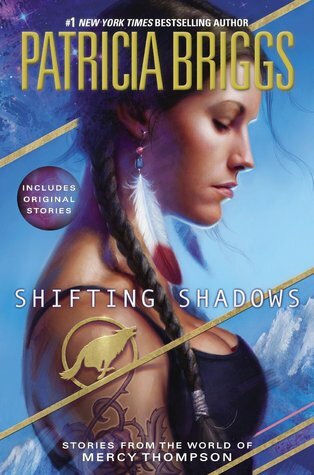 It’s hard to resist ‘surprise’ ARCs, and doubly-so when it’s by Patricia Briggs. Well I didn’t read all reviews but I cannot believe you haven’t read Alpha & Omega series yet. I’m indifferent to Samuel but a huge Bran fan. He is one of my favorites from both series even though he isn’t in them a lot. I KNOW! What a major werewolf fan girl fail! I’m hoping to listen to the series in audio soon. A wonderful joint review! I’m not usually a fan of short stories but this is one of my fave series (as is Alpha & Omega) so I might give it a go. I usually pass on shorts too, unless I’m in a reading slump, and I want to revisit some of my fav characters. However, there are a few authors out there who I’ll read anything and everything, regardless of what it is, and Briggs is on that list.